This is an instrument of many names…. 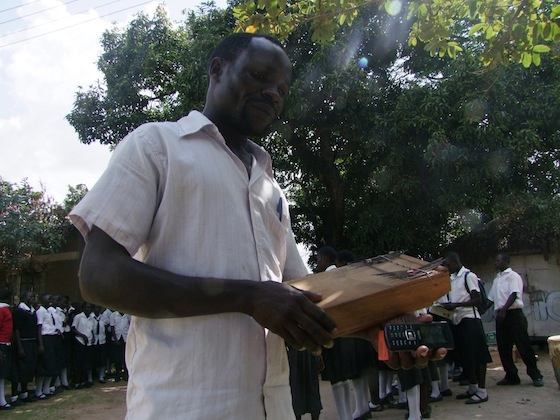 Mbira, thumb piano, mbila, zanzu to name a few. 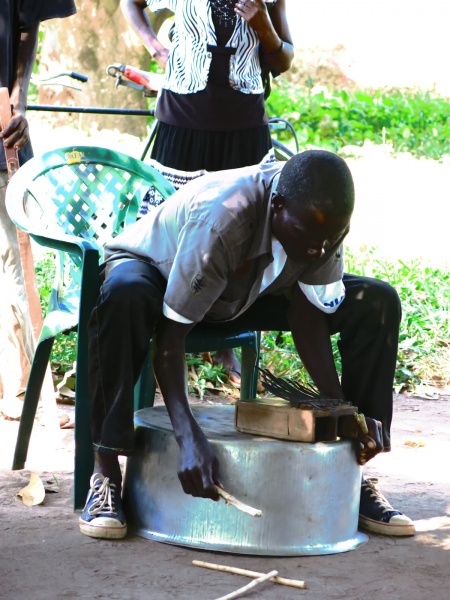 We first came across this instrument on our trip to Northern Uganda, in a small Acholi village called Paibona Tuga, near Gulu. It is a wooden block with metal prongs attached, staggered and of different lengths, to create different notes. Sometimes they are placed on resonators, such as an over turned metal bowl, to create lower notes. The sound is very similar to that of a calypso steel drum band. The Rubanga Kingom Awach Boys are a full likembe band, with about 8-10 likembe players in each performance. Their likembes range from 6 to 20 inches, with the largest played on an over turned tub so that the bass notes resonate. They play songs about war and disease which so often affected their communities in the recent past. 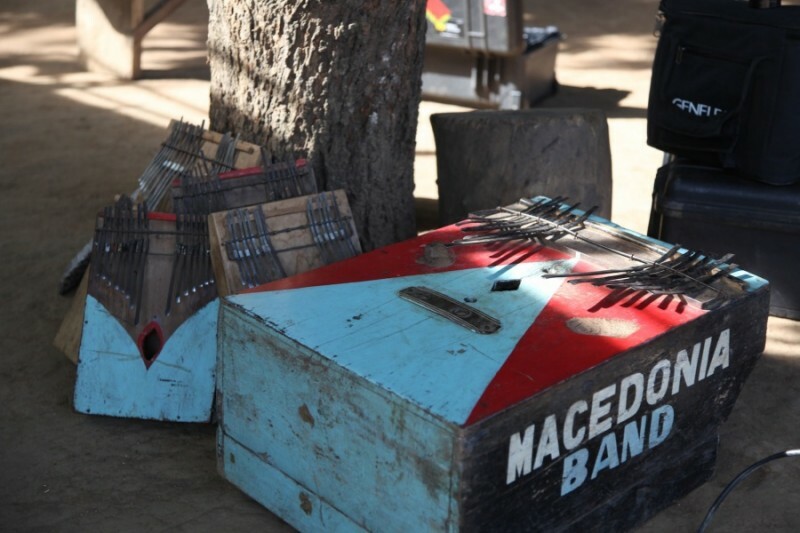 We next came across the likembe when we encountered the Macedonia Band, also with 8 likembe players. Their bass likembe was a huge 3 ft box. 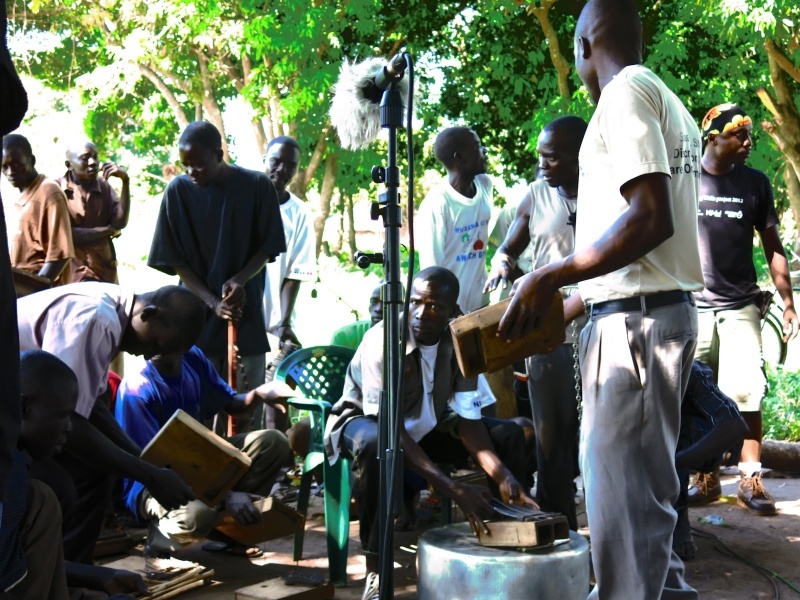 This group was a particularly inspiring as the music of the likembe was able to save lives during the civil war in northern Uganda – read the whole story in our field reports here.